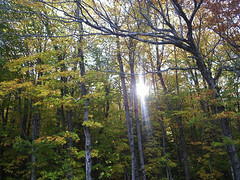 Bill Bryson is a popular writer who lives near the Appalachian Trail in New Hampshire. After learning about the A.T., he decides one day to attempt a thru-hike. He contacts his old buddy Katz, and right away you get the feeling that there is more enthusiasm than common sense, more winging it than careful planning. This is not a novel; it’s Bryson’s account of their intended hike from Georgia to Maine. The hilarity begins when the overweight and bumptious Katz shows up at the trailhead in Georgia with donuts and the backpack from Hell. What ensues is a telling of their adventures and mis-adventures as they hoof it north. All kinds of crazy things happen, but this is not slapstick comedy. They try to make a go of it and, in their individual ways, come to terms with the wilds. For reasons you will read about, they decide to occasionally hitch rides rather than walk. But they do (if memory serves) accomplish about 750 miles of actual hiking. If you want to relax and feel happy, pick up this book. Bryson is a marvelous writer with the perfect tone to give you an entirely new perspective about walking in the woods. This entry was tagged Appalachian Mountain Club, Appalachian Trail, backpacking, camping, hiking, long-distance hiking, mountain, thru-hiking. Bookmark the permalink. It is because of this book I first learned about the AT and ended up thruhiking in 2001. I read it, looked up the AT on the internet and started following AT hiker online journals. I thought the book was hilarious and informative, and I made a point of visiting places and people on/off the AT which Bryson wrote about. I was astounded by the number of hikers I met who thought Bryson misrepresented himself and the AT community. Specifically, they didn’t like ANY kind of criticism. I thought he was spot on myself – the AT community is a real cross-section of society, warts and all! (And hey, he didn’t say nice things about my city of Canberra -of which I’m very proud!- in another of his books, but I survived and still enjoyed his writing). I’d recommend this book to anyone who wants a taste of the AT and some history. Read it with an open mind and remember, it’s just one man’s opinion. Thank you, Ann, for the sound advice. Although I laughed at some of his experiences, I also learned some things. And I’m going to read his book again. I have read his book 2 / 3 times, I love his writing.His other book ” The Thunder Bolt Kid ” is great.Some of the story’s are the same experiences I had growing up. 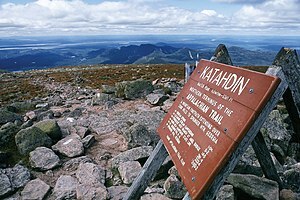 I have only hiked the AT in CT & MA.I would love to do the whole thing next year and yes maybe set a record. Even if I keep a fast pace I still am able to take in everything.This is how I enjoy hiking,been hiking way to long not to know what to enjoy. Go for it, Michael. Happy holidays and happy trails.